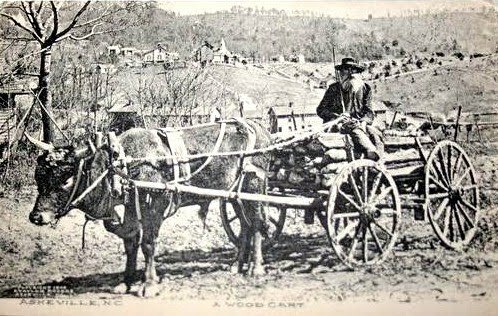 In 1910 there were no hard surface roads anywhere in Henderson County. 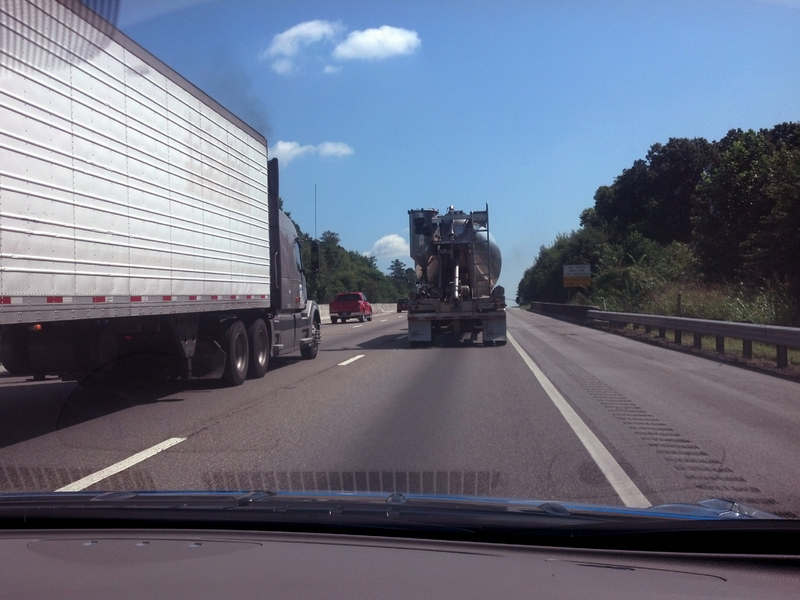 Most rural areas were a sea of mud or dust, and the best roads from South Carolina were all dirt roads. The townspeople of Hendersonville were astonished when a lone driver, Carl Thompson, pulled into Main Street one day, looked at his watch and made an announcement. According to The French Broad Hustler (yes, that was actually the name of our local newspaper): “Mr. 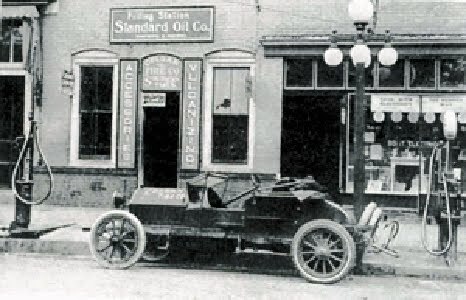 Carl Thompson in his famous Overland Touring Car came from Spartanburg to Hendersonville, a distance of 50 miles, in four hours and 23 minutes. At one point on the trip he made twenty-one miles in one hour. 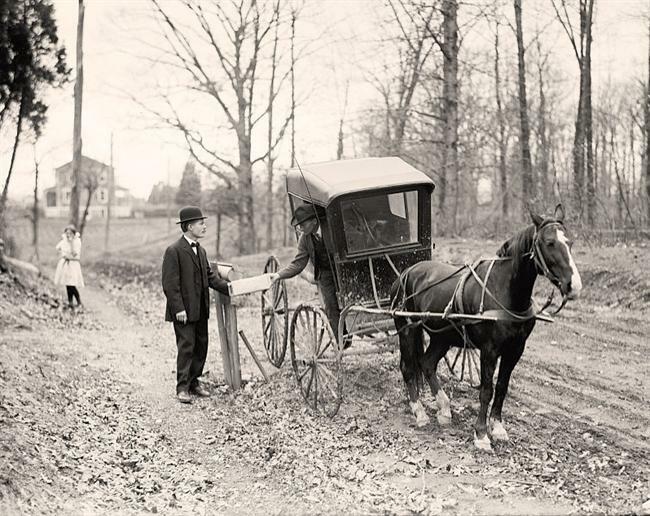 Mr. Thompson is one of the best chauffeurs in the two Carolinas.” An amazing speed for the time – almost 12 miles an hour – but bear in mind that if Mr. Thompson had run out of gas or had a breakdown along the way that was beyond his ability to repair, he would have found himself being towed into town by actual horsepower – simply because in that year there was not a single filling station or garage anywhere between the two towns. 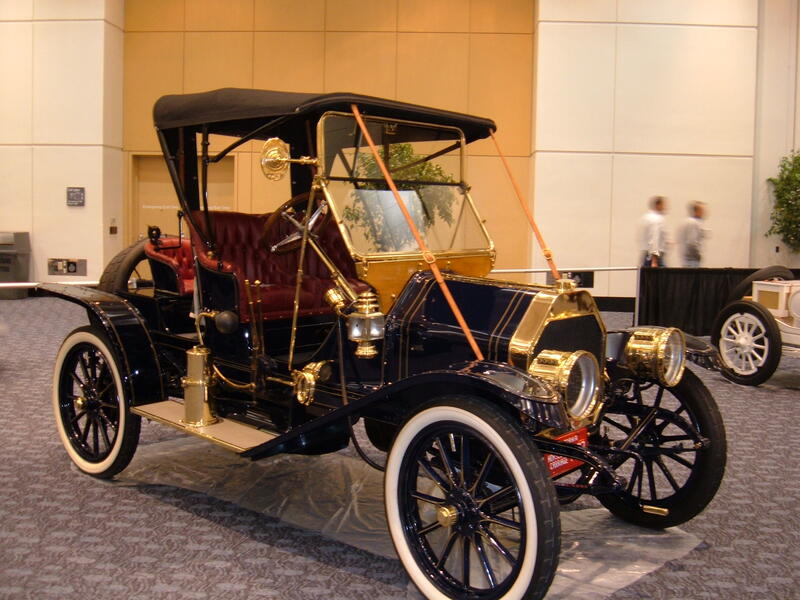 In 1914 three intrepid drivers made it from Hendersonville to Charleston, SC in a mere 17 hours… an average speed of 19 miles an hour! This was also considered a noteworthy event at the time, and made the papers in both towns. 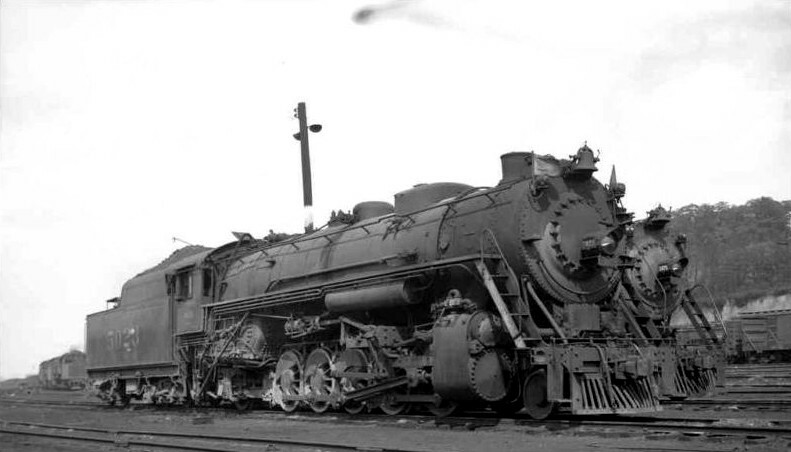 Much of the public was probably skeptical of early automotive pioneers’ efforts… after all, the train went to most towns already at much faster speeds. If you had to use a horse there were livery stables and blacksmiths in every town and village. Why go to all the trouble to adopt a new technology when it was such a hassle to get fuel and parts for it, and when the transportation already available worked perfectly well? 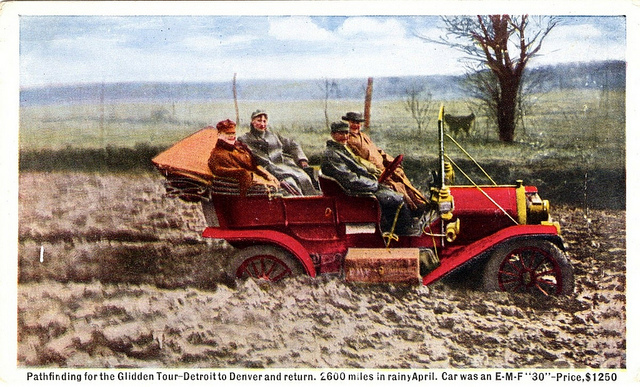 The United States only got its first transcontinental highway (the Lincoln Highway) in 1913, and it was surfaced in every variety of pavement or lack thereof. Our area got the Dixie Highway in 1915, but calling it a “highway” was a bit of a stretch, since it mostly consisted of bits of local road hastily improved and tacked together to make a north-south long distance route. Yet only a decade later the U.S. was crisscrossed by paved highways and had a real national highway system, and a century after real roads came to America we can hardly imagine life without them. 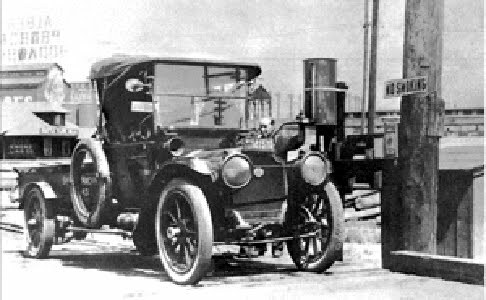 Filling stations were originally nothing more than any general store, hardware store, blacksmith’s shop or even pharmacy that carried a petroleum product that could power an automobile. 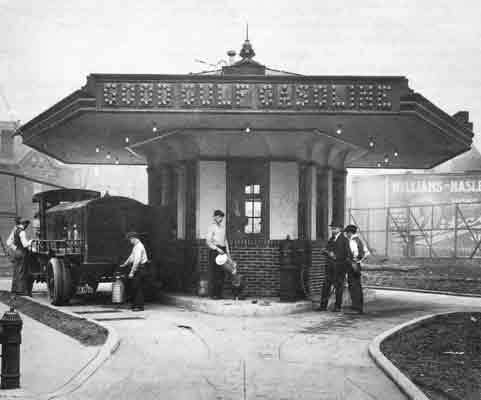 …and the first “drive-in” filling station was built exactly 100 years ago. 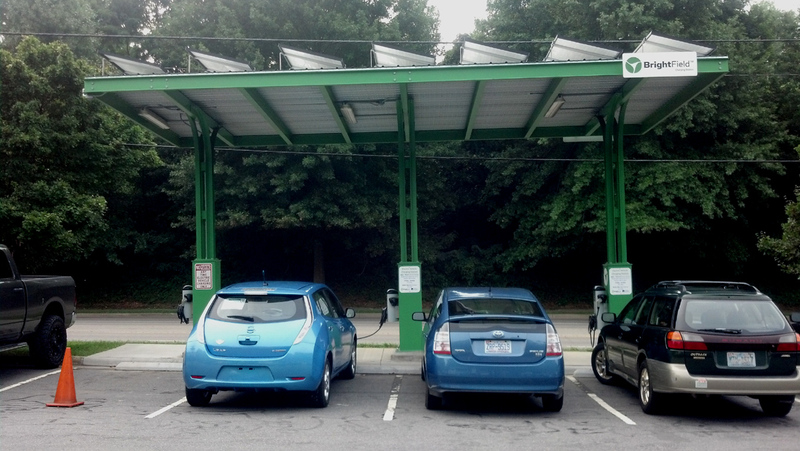 History is repeating itself with curbside EV charging stations such as this one as seen in Asheville, NC. Again, with the rapid expansion of automobile use, a decade later filling stations dotted the landscape all across the United States. The technology drove the need, and the system expanded rapidly to meet that need. 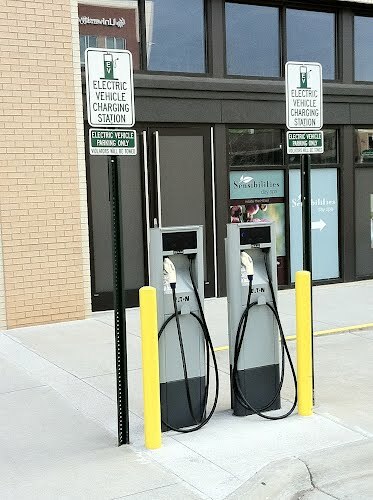 The same situation exists with EV charging stations now. The power grid already exists almost everywhere, and an EV driver can charge anywhere (just slowly). Now a network of fast “filling stations” needs to grow up to serve the growing number of electric cars. More electric cars = more demand = more ease of use = more electric cars. I think maybe Steve and Marian are pioneering the next great thing in driving technology, the way those mud-splattered pioneers of (only!) a century ago pioneered the first internal combustion driving. More power to them! (Pun intended). Ed: Thanks for the great article Michael! Blue Water Leaf is not responsible or affiliated with any and all ads that may appear below this line. 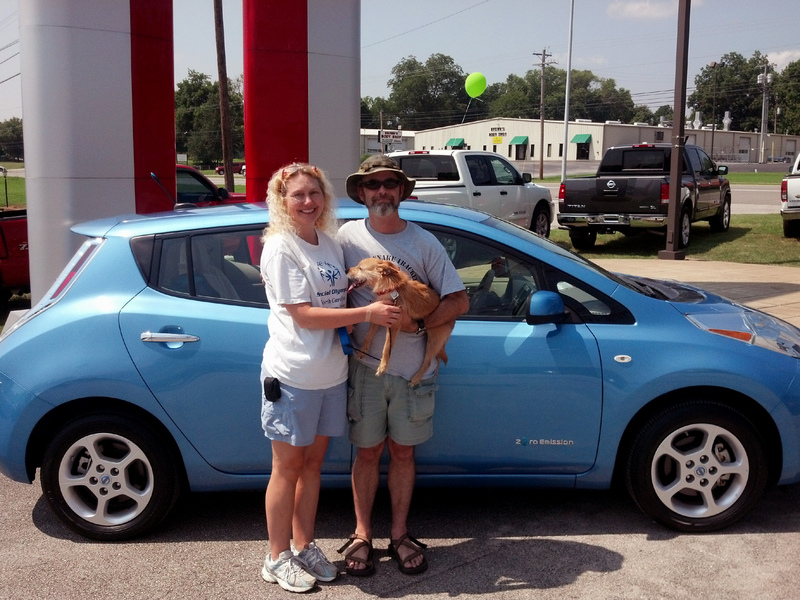 This entry was posted in electric car, Electric Vehicle, EV, Nissan Leaf, Uncategorized and tagged 1910 overland touring, 2012 nissan leaf, blue ocean, Electric Vehicle, EV, nissan leaf SL, PEV, pioneers, plug in electric vehicle, solar charging, willys by snakesteve. Bookmark the permalink.